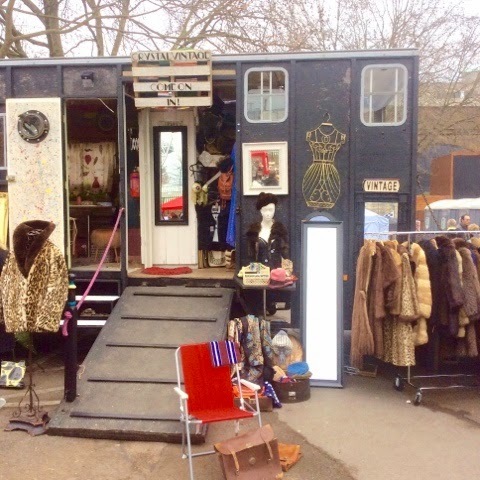 On Sunday 15th March I paid a little visit to London Town with the lovely Lisa of Heart Vintage. 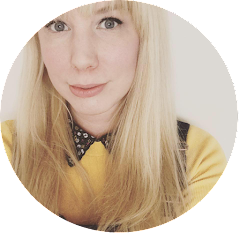 I had already spent a couple of days in Leicester with Lisa reminiscing of about our uni days, eating too much and a spot of shopping both vintage and my in new addiction Tiger Store. 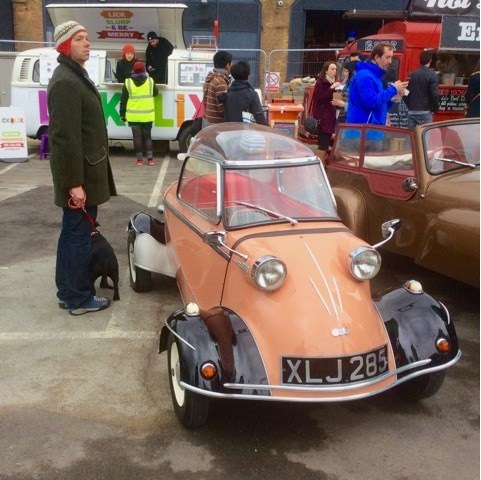 As we are both a lover of vintage and as regular scavengers of lovelies we had arranged the trip to head over to the South Bank Centre and visit The Classic Car Boot Sale. And oh my what a treat it was! 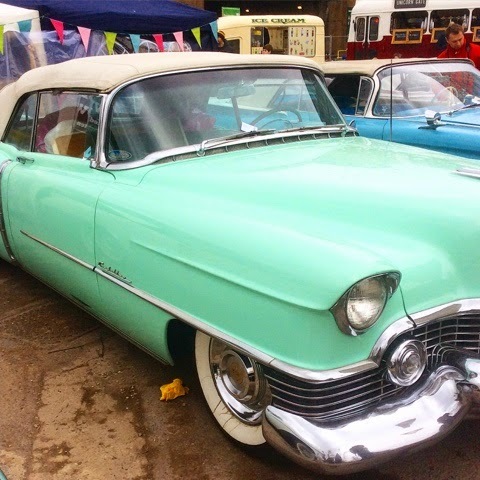 Full to the brim with vintage stalls, classic cars and street food wagons, a splendid sight indeed. 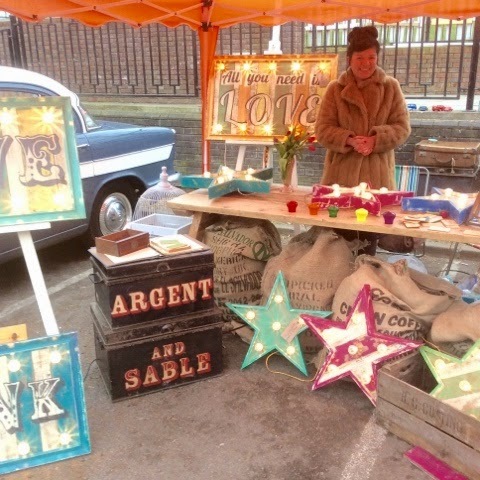 Argent And Sable make beautiful vintage fairground inspired signs that would make a quirky addition to any home. I love these! I completely fell in love with this car as did everyone that passed, such a beauty and that colour! How cute is this car and again the colour is delicious. 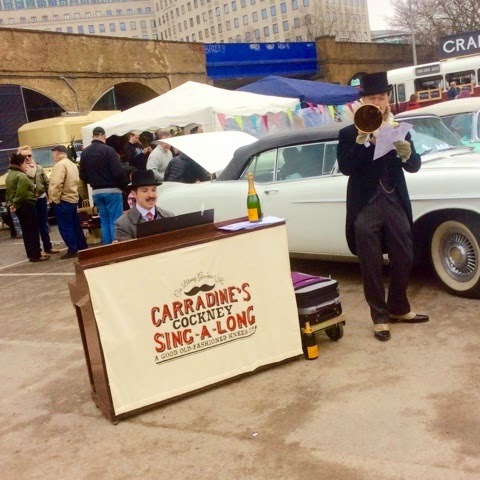 The Carradine's Cockney Sing-A-Long were brilliant, singing jaunty tunes giving everyone a soundtrack while they shopped. I only made a couple of purchases. I was very well behaved but I was aware that I had get my haul back home up north and I had already gained some extra belongs from shopping in Leicester. I'll be sharing my thrifty finds with you soon.. 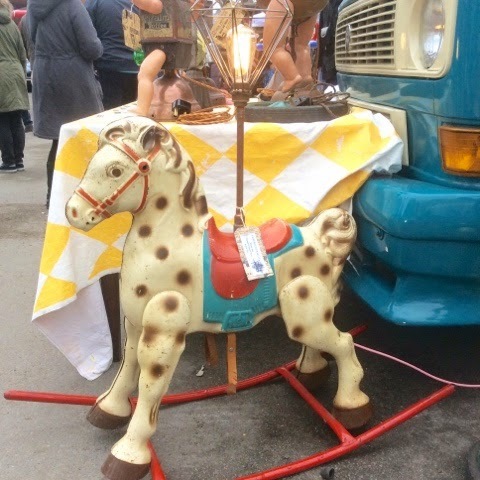 If you get a chance to visit The Classic Car Boot Sale next year I'll highly recommend it, it's such a fantastic event for any vintage lover. 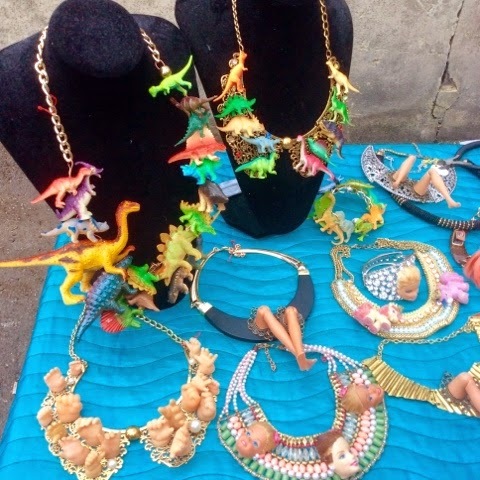 Wow this is certainly more than your average boot sale - I don't know what to think of those dinosaur necklaces! It was great Lisa and I grabbed myself some bargains! My friend would absolutely love something like this! 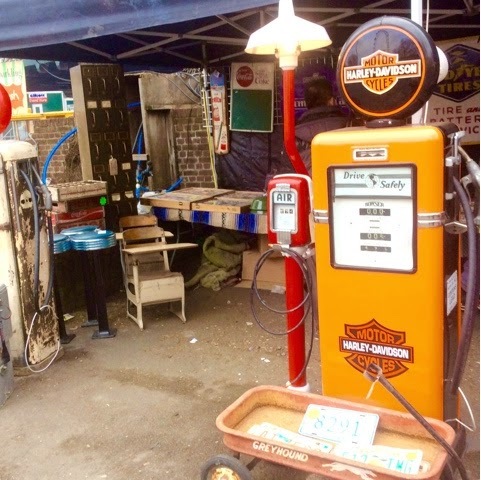 The old cars are so cool :) Great post! Thanks Emily! The cars were amazing it was such a great day!